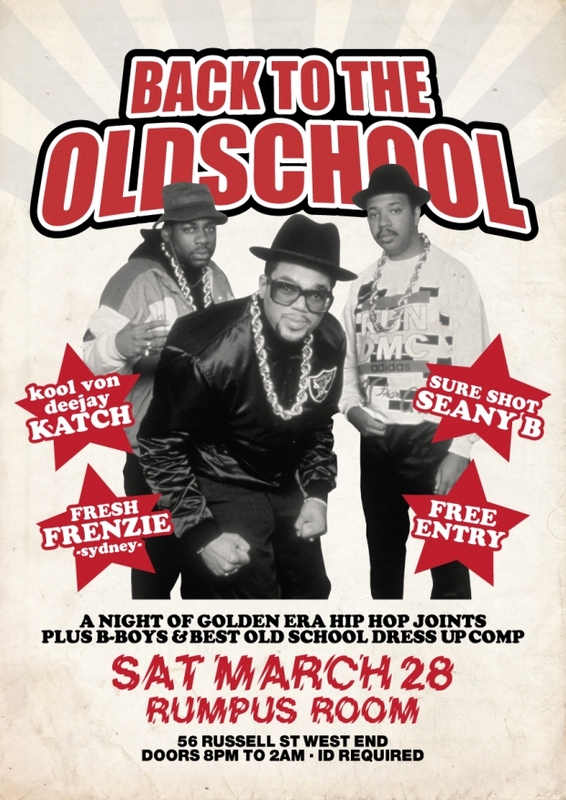 A massive weekend for Sydney Hip Hop has just concluded and I was thrilled to once again play a roll in its success. 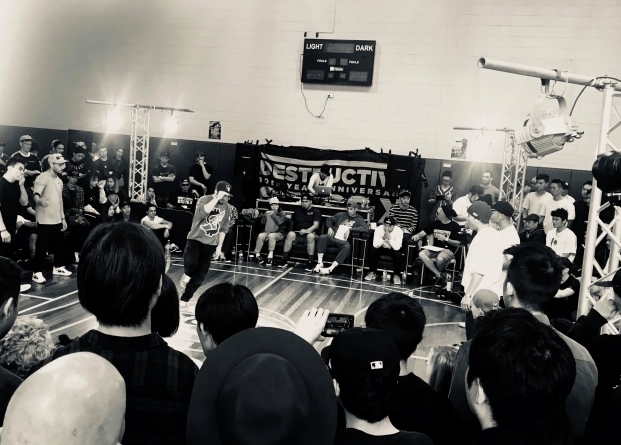 Starting from humble roots, Destructive Steps has become the biggest Hip Hop dance event in Sydney in recent years - and this year marked its tenth anniversary. I've been fortunate enough to be involved with the last three years. This year the dancers were in fine form attracting a mixed crowd of all ages and entrants from all over the world. Big shout outs to my good DJ friends Benny Hinn, Adverse, Naiki, Nick Toth, and Singapore's DJ Bolo. We all spent considerable time on the turntables throughout the three day event. As a DJ, these events hold a special place in my heart. Where else can a DJ string together a set of classic funk breakbeats, cut them up with double copies and watch people spin on their backs! These events always require much musical preparation before hand: selecting the right kinds of break-beats, marking up the cue-points and arranging the breaks in some kind of cohesive order. A special mention must go out to Jo One for his long service orchestrating the event. This year sadly marks his departure as he moves on to new projects. His speech on the day was heartfelt and emotional, bringing a tear to the eye of many in the room. His comments on growing up with mixed heritage and how Hip Hop allowed him to be accepted for his true inner identity resonated with many in the room. 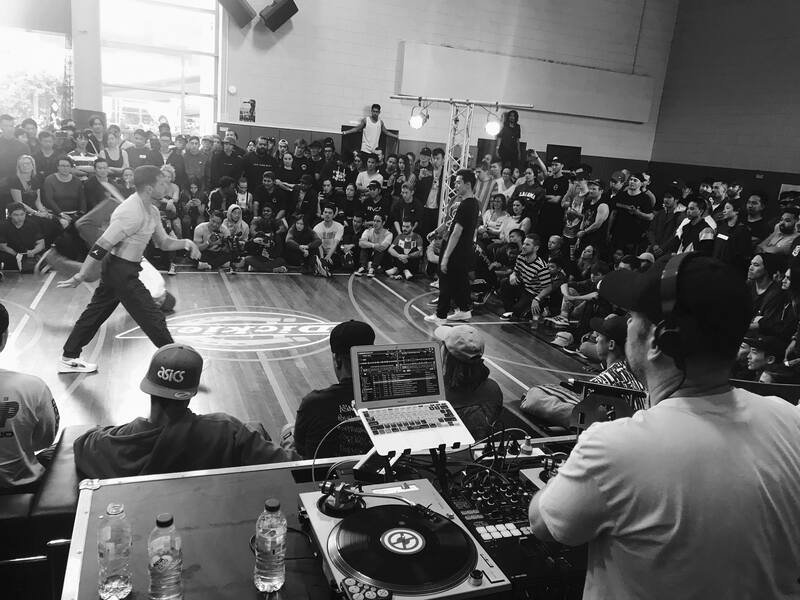 Later on that evening we all headed around the block to the 2018 NSW DMC heats. Benny Hinn, Cool Hand Luke, Total Eclipse and myself were on the musical duties throughout the night - Providing a sound bed around this years entrants who all did terrific sets. I'm glad my battling days are over, as the level of skill required to compete in the DMCs now days is ridiculously high. It's a real credit to the deejays who practice all year to deliver truly mind bending routines packed into six minutes. 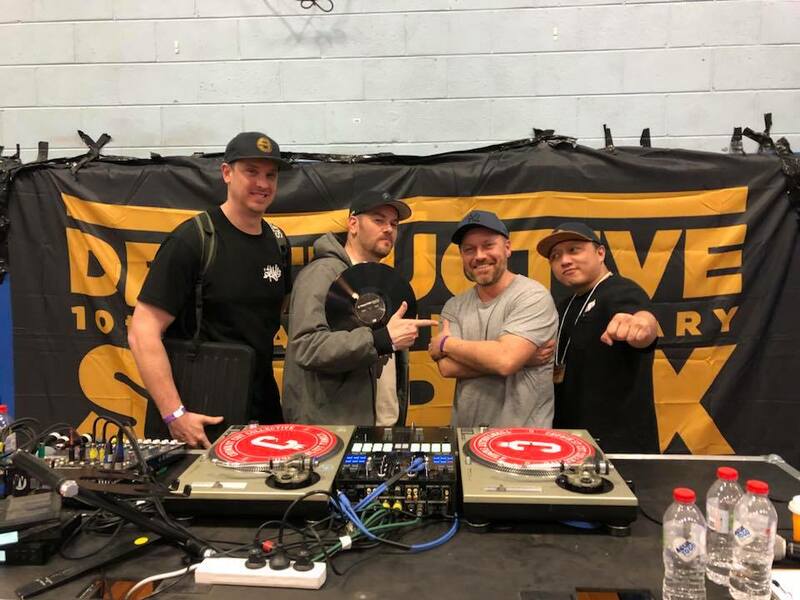 Congratulations to DMC veteran COST for once again taking out the NSW crown - But special mentions must go to DJs Squat, Beats J, and Zah for their incredible routines. I'm so proud of everyone who had the guts to get up and do their thing. I know first hand how incredibly hard competing is. 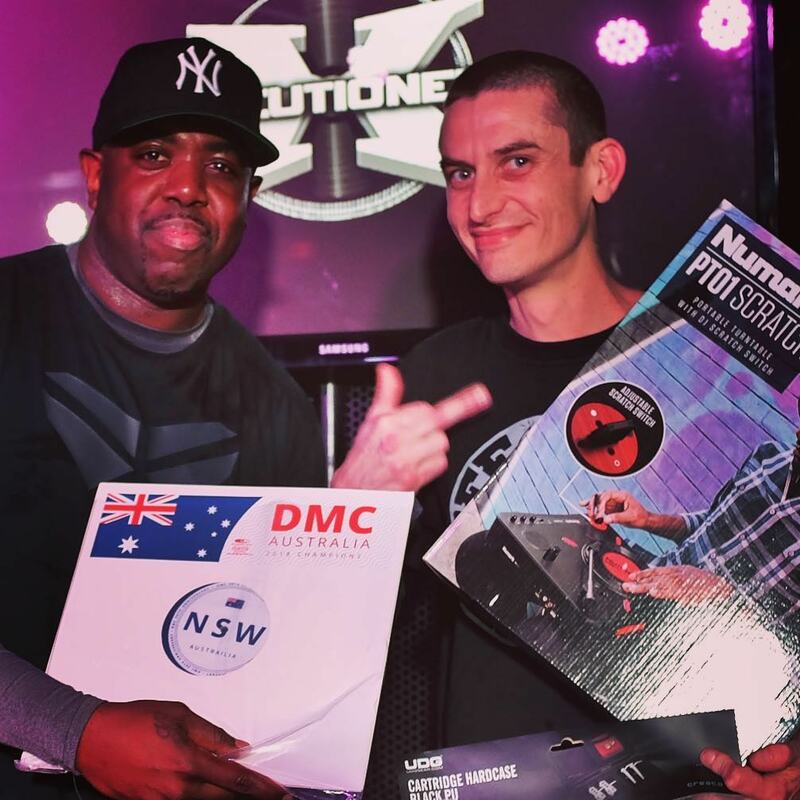 My own attempts in the DMC's over the years have been some of the most nerve racking DJ sets of my career - so I can totally empathise with all who give it a shot but don't take out the top position despite all the hard work and dedication they put in all year. So big ups Sydney. You guys certainly came through and made this weekend a memorable one. It's amazing that considering how long we have all been doing this thing, the local Hip Hop scene is still active and thriving. No matter what difficulties this sometimes frustrating city can occasionally throw at us - We overcome! The various splinter scenes in Sydney Hip Hop tend to co-exist independent of one another, so it was amazing to see so much crossover over this weekend, and I honestly hope to see more moving forward. We're all in the same gang! Shout out to the hard working organisers of both events: Jo, Alice, Randy and Raine Supreme - Your hard work and dedication does not go unnoticed. Before I end this post, I need to mention the mixtape a few of us put together in anticipation of this weekend. 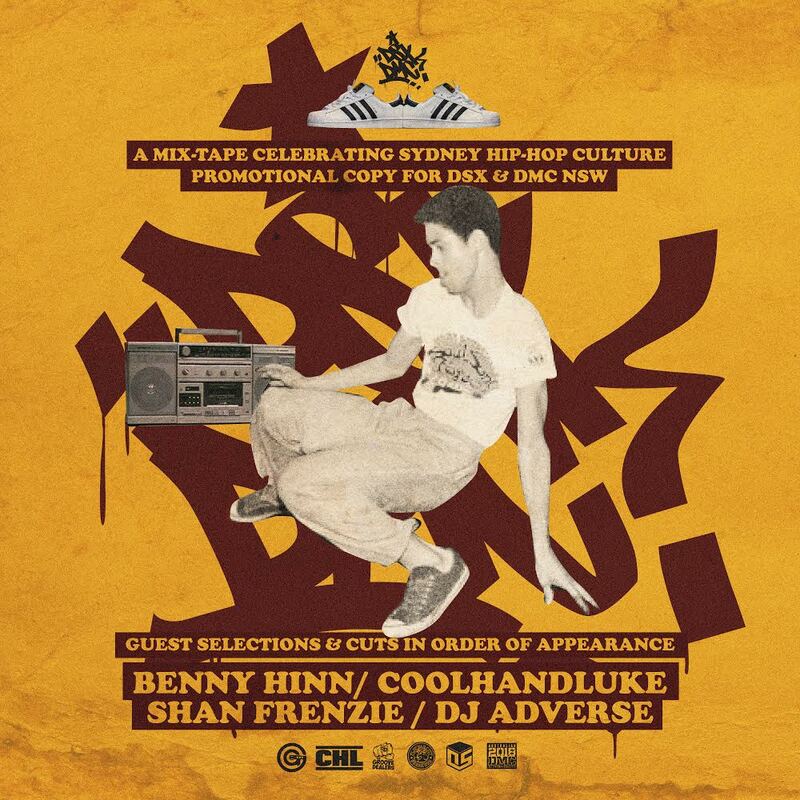 DSX DMC (the mixptape) is a collaborative effort between Benny Hinn, Cool Hand Luke, Adverse, and myself. I told the fellas to create a set of fifteen minutes in length that captures the energy of both events. The result is truly amazing and is a definite well spent hour of your time. Benny Hinn also created this amazing artwork for the project. Also - A quick shoutout to my buddies Benny Hinn and Adverse whose photography and video I have used in this post. 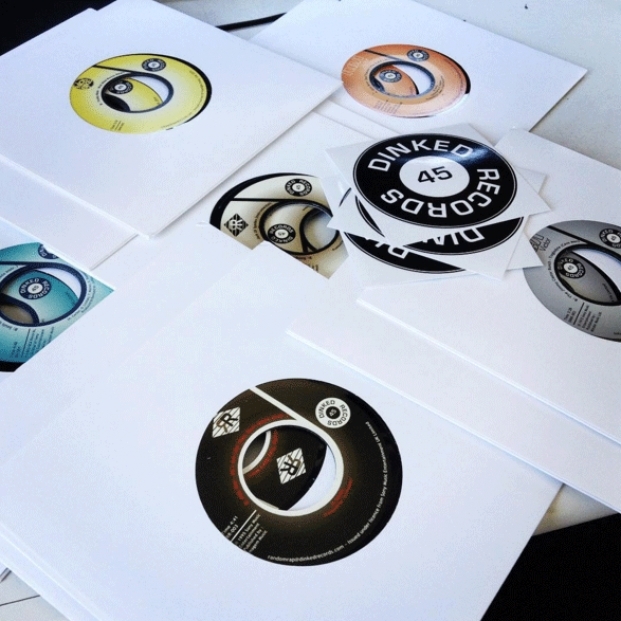 A big thank you to my good friends over at Liquid Beat Records for sending over their latest offering on 45. Being already familiar with the top quality of the labels back catalog, I knew before the needle even hit the grooves that this release was going to be something special. The cover art alone is beautifully designed adorned with some lovely black and white photos of what looks to be an extraordinarily minimal home studio set up - a sign for what is to be contained with perhaps? 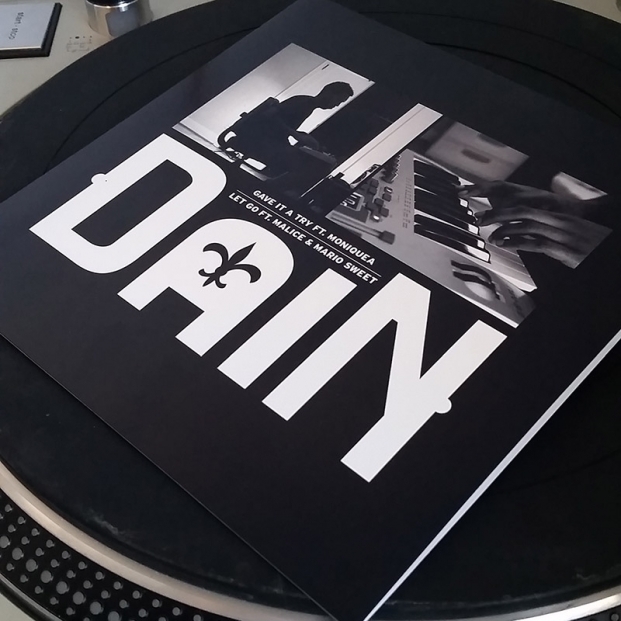 The production definitely follows through on the sparse motifs, with Portland resident DaiN providing up with some serious head nodding material. This is Hip Hop production in that laid back west coast dillaesque lane but with that heavy east coast dankness. We get two songs on here, a taster of DaiN's further output which is available through the redeeming of a code provided with the 45 that unlocks digital recordings of five songs in total - All of which are just beautifully crafted, and carry an easily identifiable signature sound: The kick drums kick, the snare drum snaps, stripped back melodic keys provide a layer of viscous soul that drips tantalizingly between each hit and provides a sound bed for the vocalists. ..and let's talk about the vocalists for a minute. On the 45 we are served up sultry vocals from Moniquea (sounding somewhat like a late eighties Janet Jackson), whilst on the flip Malice and Mario Sweet grace the beats with soulful harmonies. There are no raps on the 45, but we do get some on the digital track "All's Calm" from Black Spade, and emcee I'm not familiar with but keen to hear more of. That east coast dankness I mentioned earlier? You get that right here in droves and it's serious business. There's a new label in town and it's been making lots of noise of recent. The team at Dinked records aren't new to this. They have been around the block and back a few times, and have had lots of experience in putting out records with previous projects - and the expertise definitely shows with this series of fantastic releases. It's worth mentioning that these are all legitimate reissues fully licensed through their respective publishers. Some of these have never had a previous releases on 45 - And for those tracks that have had a 45 release, you would definitely be hard pressed to turn up an original 45 in the field - So for most collectors these beautifully executed releases should suffice. There is a new blog in town. 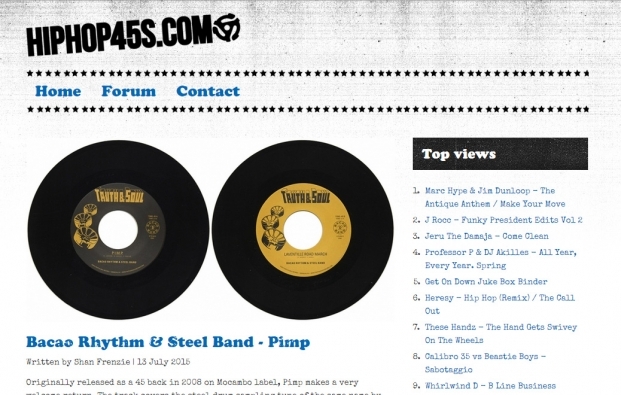 If collecting Hip hop 45's is your thing, then you might want to check out http://hiphop45s.com where I'm collating a bunch of fresh new releases on the 45s tip tailored towards the Hip Hop deejay. There's a facebook group as well, which has kind of blown up in the last seven days with a bunch of great collectors from all around the world showcasing their incredible collections. It's amazing to see what got released as seven inch single over the years. With my fiorthcoming trip to Brisbane on the Horizon, my good friend DJ Katch asked me to pick five tracks from the 80s. Now, considering I'm a huge eighties Hip hop fan this was an incredibly hard choice. That decade turned out so many classic joints that I couldn't even begin to pick my top five. So instead, here are five joints that I undoutedlly love. Are they my favourites? Well, they are somewhere in my top fifty from the decade. Peril has been running things in Melbourne for as long as I can remember - One of the movers and shakers in the original generation of B Boys that came from the early to mid eighties period in the city. When I first started seeing his pieces (together with his graff partner Paris) on the train lines in the eighties it was immediately evident that his style was streets ahead of his contemporaries. He was one of the pinnacle of Melbourne kings who I looked up to back in the day. 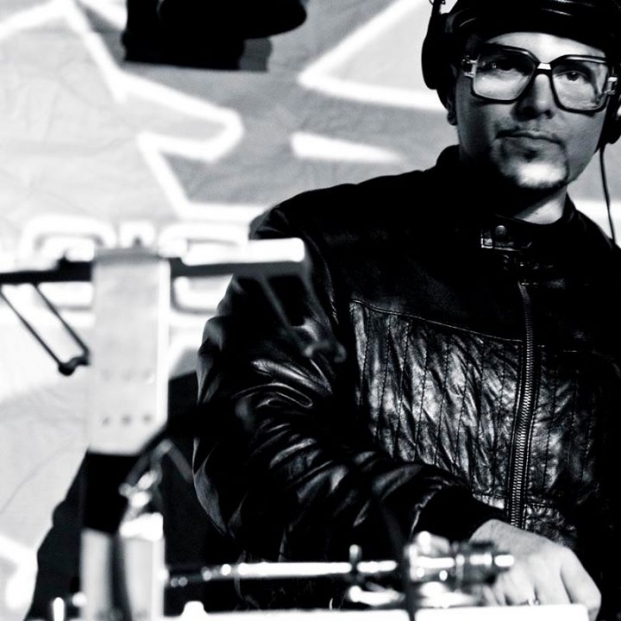 His transition into Djing (and eventually studio production) was fluid and evolutionary. Showing a keen respect for where the artform of Hip Hop came from he continued to set benchmarks for everyone in his wake. I sat down with one of Melbourne's original style masters and chatted about the long legacy he has built over the last thirty years. 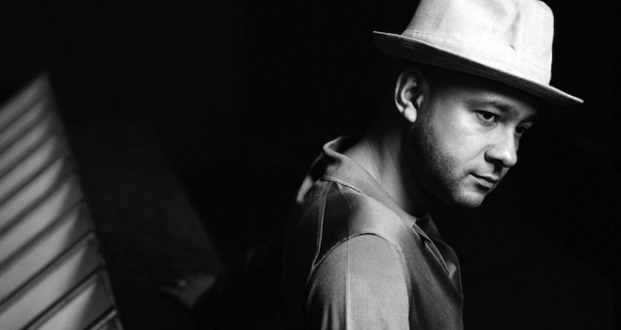 DJ Ease from Nightmares On Wax was recently in Australia, so we took a few minutes to connect and have a chat about the glory days of growing up in Leeds, England right at the time when Hip Hop culture had jumped over the pond. Ease goes into detail about his first crew, the early rave scene, and how Ibiza (His current home) has changed over the years. We also get geeky and drop some studio tech knowledge, and of course hear a few snippets from his extensive back catalog of releases. 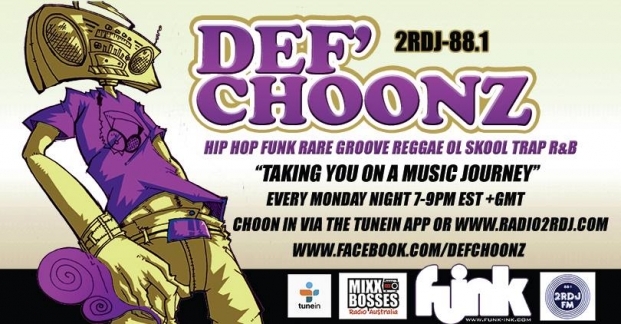 I recently put together an exclusive 25 minute mix for the fam at Def Choonz Radio, which broadcasts around Sydney every Monday night at 7pm on 2RDJ. The radio show is a great supporter of local artists, and I was quite honored to be asked. I took the opportunity to do more of an open format cut up style, flipping between Hip Hop classic, R&B joints, Pop, and Trap at a rapid pace with a bunch of doubles, acapellas, and loops - even Phil Collins gets a spin. Enjoy..
Any working DJ who has been using either Traktor or Serato for a long period of time will be familiar with the chore of managing your playlists. Digital crates can quickly become unwieldly and cumbersome as they fill up with new music, often at the cost of not knowing where your music is stored when you need to play it. Over the last several years I've been perfecting my own digital music managment pipeline. It works well for me, and is compatible with both Traktor and Serato. My laptop has both installed, and my crates remain identical in both platforms. Istanbul is an amazing city with a long musical heritage, and the serious record collector will find a lot of stores to keep you on your feet for a few days. For a city that straddles two continents you will find a vast variety of music - and of course a lot of local Turkish music. A word of advice for those who are looking for local sounds: Bring a portable record player (I didn't). 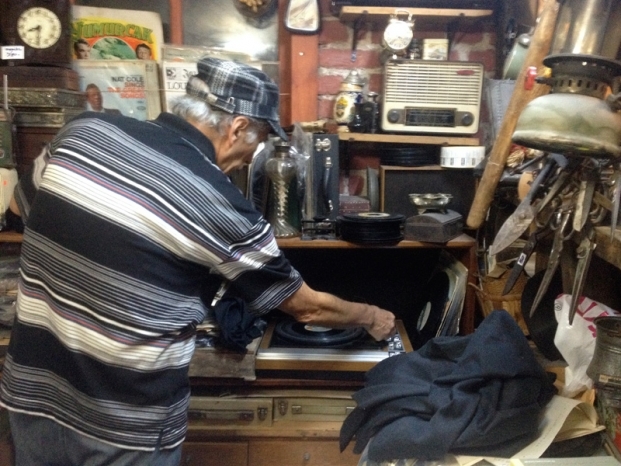 Many of the stores don't have listening stations, and the vast collections of local Turkish music can be quite overwhelming if you don't know what you are looking for. For me it felt like a bit of a lost opportunity as I am not as familiar with Turkish music as I'd like to be. I certainly came away with a few local pieces, but much of the time I was at the mercy of what the store keeper could recommend based on the vague musical descriptions I would give them. I also found that the local music seemed to be considerably higher in price - even for beat up skated pieces. Get the Groove Therapy podcast automatically downloaded to your itunes as each episode is released.